Charles Messier is a well-known astronomer from France who is recognized for publishing his astronomical catalogue. This contains the 103 Messier objects, which are deep sky objects such as the star clusters and nebulae. The objects were identified with the letter M and a number such as the Andromeda nebula is referred as M31. Because of his excellent work, he was called “My Little Comet Ferret” by King Louis XV. 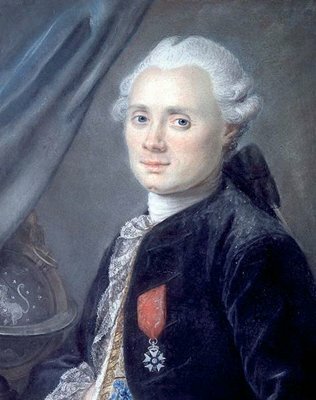 Charles Messier was born in Badonviller near the Lorraine region of France. His interest in astronomy was awakened when he saw the astounding comet with notable six tails on the year 1744 as well as the eclipse of the sun on July 25, 1748. He became employed under Joseph Nicolas Delisle who is an astronomer of the Franch Navy in 1751. His first observation that was documented was the Mercury transit on May 6, 1753. His first catalogue which was published in 1774 contains 45 objects. It has grown to 103, which paved the way for the publication of its final version in 1781. It contains examples of the deep sky objects such as planetary nebulae, diffuse nebulae, globular clusters, open clusters and galaxies that were visible in the European latitudes. These objects are the most attractive and brightest among the other deep sky objects that are observable from Earth. They were observed by Charles Messier using a small-aperture refracting telescope.